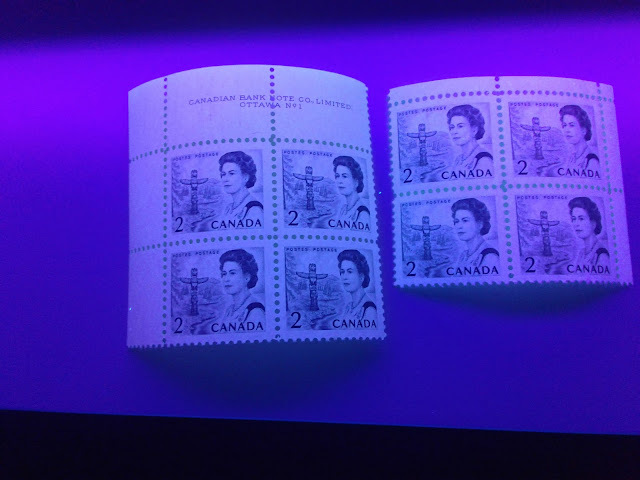 Today, I will be looking at all the printings of the 2c tagged stamps from this series. Unitrade's listings for the tagged examples of this stamp are quite extensive now, with no fewer than 7 varieties listed. This has grown over the years from just four when I was young, in the early 1980's. 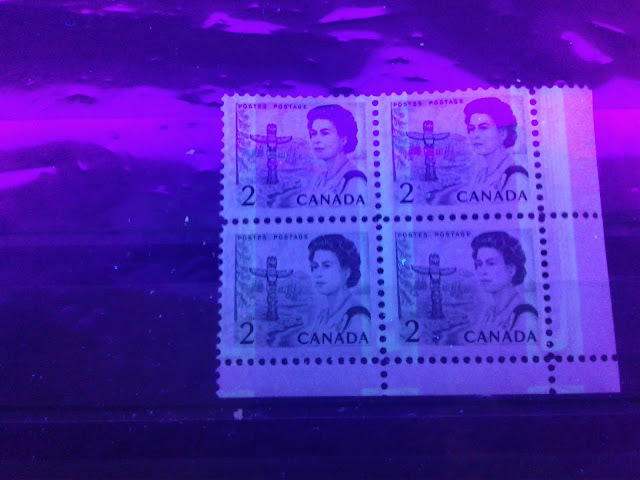 However, if you take paper colour under UV light into account, there are even more than 7. Today's post will hopefully shed light on this. Today's post will be the first of two posts dealing with the 2c value from this series, which depicts a Pacific Coast totem pole in British Columbia. Unitrade 's listings for this stamp are fairly straightforward for the untagged stamps. There are just four listings included to cover all of the untagged printings made from 1967 to 1973. These are quite inadequate to describe all of the variations that can be found, as we shall soon see. The tagged stamps are accorded many more listings in Unitrade, with seven variations listed. However, again, this is an over-simplification of what actually exists.